The court denied plaintiffs' motion for a preliminary injunction in part because issuance of an injunction would be contrary to the public interest especially in light of current economic conditions. "[T]he preliminary injunction Plaintiffs seek will require [defendant] to furlough many of its workers for at least six months, while it retools its production process. Given the state’s high unemployment rate, those workers may not be able to find interim employment, an outcome that might result in their inability to remain current on their mortgage or rent payments. And to the extent that the furloughed workers would qualify for unemployment compensation, they would further draw upon a system that is already strained to the limit." Plaintiff's motion for a permanent injunction following a jury verdict of infringement was denied because plaintiff failed to establish that the infringing activity irreparably harmed plaintiff's business. "Cordance has neither provided the court with a clear, summary-level overview of the relevant market for the [patented] technology, specifically one-click, nor persuaded the court that Cordance and Amazon are direct competitors in a market utilizing such technology. Cordance’s arguments ignore that it was Amazon’s use of one-click purchasing that was found to infringe . . . not Amazon’s commercialization of a digital identity system or activity in or entry into the market for such a system. . . . For these reasons, Cordance has failed to establish that a direct link exists between Amazon's infringing use of one-click technology in online transactions and either Cordance's inability to establish itself in the digital identity market, a loss of goodwill to Cordance, or a change in the digital identity market’s landscape." Defendant's motion to disqualify plaintiff's counsel was granted where the disqualified law firm employed an attorney who previously represented defendant. "[The attorney] was involved in patent prosecution work for the accused product. . . . He performed a non-infringement analysis as part of the process. . . . It appears quite clear that [his] work on the [defendant's product] bears a substantial relationship to the issues in this case that involve prior art. [Plaintiff] used the [defendant's] patents for the [defendant's product] as evidence in the claim construction process. That also tends to support a substantial relationship finding." Plaintiff's motion to compel the production of defendant's source code for future products was granted "because it is reasonably likely to lead to evidence relevant to [plaintiff's] infringement claims. Further, products which have not yet been released for sale to consumers may still be found to infringe." Justin Gray of Foley & Lardner notes on his Gray on Claims blog that the number of new False Marking cases being filed has again picked up steam. This recent increase has impacted statistics on the types of allegations in new cases. Although expired patents remain the basis for the the bulk of new cases filed, allegations of unenforceable patents and patents that do not cover the scope of the product are increasing. Compare the early April 2010 post of False Marking Types to the one below. Plaintiff's motion for terminating sanctions for alleged spoliation of evidence was denied. "The fact that [defendant] no longer has the original source code and the reasons it would be expected to have it will be in evidence. [Plaintiff] can argue to the jury that [defendant] should have the original source code to a program that it both patented and attempted to patent for many years. . . . But entry of judgment is a severe and extreme remedy to be used only when there is clear proof that evidence central to the case has been spoliated. [Defendant's] data retention policies, as stated many times, were clearly inadequate. However, under the backdrop of the minimal evidence [plaintiff] has obtained from other parties, it is not clear that [defendant] spoliated evidence." Following a bench trial, the court found that defendant did not violate the false marking statute, 35 U.S.C. § 292 by marking the "primary packaging and outer packaging" of a contact lens cleaning system with patents claiming various aspects of the cleaning system. In particular, the disinfecting solution was not an "unpatented article" with respect to a patent claiming "a method of disinfecting soft contact lenses." "The [patent-in-suit] covers the use of the [disinfecting solution] with the [disposable cups and discs] to disinfect soft contact lenses, which is the intended use of the product. Because the claims of the [patent-in-suit] cover the use of the [disinfecting solution], the Court finds that [the disinfecting solution] is not an 'unpatented article' as that term is used in § 292." Defendants' motion to stay execution of judgment, to stay post-judgment discovery, and to terminate a permanent injunction was granted where the judgment in the case was on appeal and the PTO issued a post-judgment Advisory Action stating plaintiff had failed to overcome all of the rejections in a final rejection of the patent-in-suit. "[H]ere the Court's decision to grant summary judgment [of no invalidity] was based on a number of disclosure violations committed by Defendants in the lead up to trial. . . . [T]he Court finds that the PTO's Advisory Action is not only the most recent decision regarding the [patent-in-suit's] validity, it is a decision made after a thorough examination of the matter conducted by a body which holds particular expertise in such issues. . . . The Court concludes that the PTO's proceedings should govern Defendants' actions rather than the Court's Permanent Injunction which is based on a patent which has been declared invalid." The court granted defendant's motion to dismiss plaintiff's false marking action for lack of standing where another qui tam relator had filed an earlier suit against defendant. "While Plaintiff acknowledges that the technology of the products at issue in the two cases likely is the same, it contends that the packaging of the [product] sold at [one store] is different. . . . However, [the first-filed] complaint, while more general than Plaintiff’s with respect to packaging, in no way excludes the marks or packaging that are the subject of the instant suit. Having examined both complaints, the Court concludes the claims asserted by Plaintiff against [defendant] are within the scope of those alleged by [the other plaintiff] in her earlier-filed action. For this reason, it appears that even assuming standing generally, the claims of the United States government previously were assigned to [the first-filed plaintiff] depriving Plaintiff of standing to assert them here." The court granted defendants' motions to transfer venue plaintiff's false marking actions. "[T]he markings on the concerned products and Defendants’ intention with respect to marking the products with expired patents are the central material facts that give rise to Plaintiff’s claim for relief. Defendants present undisputed evidence that their products are manufactured outside of the Northern District of California and that the persons making the decisions to affix the allegedly expired patents to the concerned products also are located outside of the Northern District of California. While Plaintiff concedes that this factor weighs in favor of transfer, it requests that the Court grant it an opportunity to conduct discovery into the sales of the accused products prior to any ruling on the instant motions. The Court concludes that discovery of such facts would not affect its analysis, and that this factor weighs strongly in favor of transfer." Defendant's motion to dismiss plaintiff's false marking claim for failure to plead with particularity was granted in part. "[S]pecific facts showing Defendant’s knowledge of falsity or intent to deceive are critically absent from the pleadings. . . . Although Plaintiff has alleged that Defendant knew or reasonably should have known that the products were marked with expired patents, Plaintiff attempts to support those allegations by averring merely that: (1) Defendant knows that patents have limited duration; (2) the patents at issue expired; and (3) Defendant continued to mark its products with those patents after expiration. Those allegations do not sufficiently articulate knowledge of falsity or intent to deceive because Defendant’s knowledge of the limited duration of patents and the actual expiration of the patents do not create an inference that Defendant knew that the patents at issue actually expired." Plaintiffs' motion to strike defendants invalidity and equitable affirmative defenses was denied as moot because the court granted plaintiffs leave to file an amended complaint. However, the court provided "guidance" for any future motion challenging the sufficiency of defendant's affirmative defenses. "[Defendant's] affirmative defenses of patent invalidity, unclean hands, estoppel, laches, and waiver are insufficient, Plaintiffs argue, because they are without factual basis or a showing of plausibility. . . . The pleading of affirmative defenses is governed by Rule 8(c). That rule requires only that a party 'affirmatively state any avoidance or affirmative defense.' It does not contain the language from Rule 8(a) requiring a 'short and plain statement of the claim showing the pleader is entitled to relief[.]' Nor does it include the 'short and plain terms' language found in Rule 8(b). The Court is of the view that the pleading standards enunciated in [Bell Atlantic Corp. v. Twombly, 550 U.S. 544 (2007)] and Ashcroft v. Iqbal, 129 S. Ct. 1937 (2009), have no application to affirmative defenses pled under Rule 8(c)." The magistrate judge recommended denying defendant's motion to dismiss a false marking claim for failure to sufficiently plead an intent to deceive the public. "It is unclear whether Rule 9(b)’s heightened pleading standard applies to false marking claims. . . . [T]he undersigned is persuaded by Judge Love’s analysis in [Astec America, Inc. v. Power-One, Inc., 2008 WL 1734833, at *12 (E.D. Tex. Apr. 11, 2008)]. . . . [I]n this case, [plaintiff] alleges that [defendant] was the party who marked the [accused] products, [defendant] knew its patent was expired, and [defendant] acted with intent to deceive the public. As such, the undersigned does not recommend dismissing [plaintiff's] complaint on the basis that it fails to properly plead intent." The court granted defendants' motion to transfer venue in part because the existence of related cases in the transferee forum would promote judicial economy and avoid inconsistent claim constructions. "Given the history of the litigation surrounding the patents-in-suit, transfer of the instant [plaintiff] lawsuit increases judicial economy and decreases the risk of inconsistent claim constructions. . . . Transferring the case to the Northern District of California not only eliminates the need for this district to become educated on the patents and the technology, but it also preserves the transferee court’s familiarity with the technology surrounding [network interface cards]." The court denied defendant's motion to dismiss plaintiff's false marking claim for lack of subject matter jurisdiction based on an earlier-filed case involving the same claims. "Defendant claims that a provision of the False Claims Act, 31 U.S.C. § 3730(b)(5), creates a first-to-file limitation that jurisdictionally bars Plaintiff’s action by preventing any person other than the Government from bringing a subsequent related action. . . . The plain language of the False Claims Act’s first-to-file provision states that the provision is applicable 'when a person brings an action under this subsection.' According to the plain language of the statute, the first-to-file limitation contained in § 3730(b)(5) is thus inapplicable to claims brought under a different statutory title and section. In other words, § 3730(b)(5) is inapplicable to the present action, which Plaintiff brought under 35 U.S.C. § 292." Defendants' motion to amend their pleadings to include inequitable conduct was denied. ""Defendants argue that their delay in requesting leave to amend is warranted because the factual basis for their newly asserted affirmative defense and counterclaim of inequitable conduct was not fully developed until [2 months ago] when they deposed. . . one of the named inventors of the [patent-in-suit]. Defendants’ decision to wait until little more than one month before the close of fact discovery to depose such a major witness is not an adequate justification for subjecting plaintiffs to the undue delay and prejudice which would result from our granting their motion to amend. Significantly, the allegedly undisclosed prior-art references on which defendants base their theory of inequitable conduct were known to them as early as [10 months ago]."" "The Supreme Court has issued an opinion in Bilski v. Kappos, 561 U.S. __(2010). The parties are ORDERED to submit supplemental briefing regarding the effect of the Bilski decision on the outstanding Motion for Summary Judgment. The parties shall submit initial briefs of no more than 20 pages by July 12, 2010, and response briefs of no more than 12 pages by July 19, 2010. (1) Whether Plaintiff's patent claims comprise "abstract ideas" under analogous Supreme Court and Federal Circuit precedent, or whether Plaintiff's patent claims comprise "applications" of abstract ideas. See Bilski, slip. op. at 12-15. It may be that the Court of Appeals thought it needed to make the machine-or-transformation test exclusive precisely because its case law had not adequately identified less extreme means of restricting business method patents, including (but not limited to) application of our opinions in Benson, Flook, and Diehr. In disapproving an exclusive machine-or-transformation test, we by no means foreclose the Federal Circuit’s development of other limiting criteria that further the purposes of the Patent Act and are not inconsistent with its text. Bilski, 561 U.S. __, slip op. at 16. The parties are encouraged to identify precedential or persuasive caselaw that identify "other limiting criteria" relevant to the present patent claims." Defendant's motion to dismiss plaintiff's false marking claim for failure to plead a fraud-based claim with particularity was denied. "While [Brinkmeier v. Graco Children's Prods., Inc., 684 F. Supp. 2d 548, 553 (D. Del. 2010)] declined to draw an inference of deceptive intent from pleadings that the defendant knowingly marked certain articles with an expired patent number, this ruling departs from [Clontech Labs. Inc. v. Invitrogen Corp., 406 F.3d 1347, 1352 (Fed. Cir. 2005)] and subsequent Federal Circuit case law. . . . At the pleadings stage -- viewing all facts in the light most favorable to the plaintiff -- allegations that a defendant knowingly mismarked an article with an expired patent number (i.e. a false statement with knowledge) allows a court to infer intent to deceive the public. . . . Armed with actual documentation that a product was falsely marked, a court may draw an inference of the defendant's knowledge simply by the finite nature of patents and the ordeal an entity must go through to actively create and maintain a patent. . . . As a sophisticated corporation with patent experience and available legal counsel, Plaintiff creates an inference that Defendant knew the patent expired. Any argument to the contrary ignores the time sensitive nature of patents and the obligations incumbent on patent holders to protect their legal rights." The parties' motion to vacate claim construction following settlement was denied. "[The] patentees argue vacating the claim construction order would promote the public policy in favor of settlement. . . . [T]he Court disagrees that the overriding public policy is in favor of vacating an otherwise valid court order because one or more of the parties, after settlement, finds that order inconvenient. . . . Not only would such a practice come dangerously close to engendering improper advisory opinions by courts, it might also encourage inefficiencies through repetitive litigation. . . . Had the parties wished to resolve their disputes in a matter that did not involve public proceedings, there were ways to do so. . . . The parties did not choose that option and therefore cannot now expect that orders relating to the dispute, properly entered and unrelated to settlement, will now be vacated." The court could exercise subject matter jurisdiction over a defendant generic drug manufacturer’s invalidity and noninfringement counterclaims directed to patents for which defendant had filed a Paragraph III certification (indicating that its generic drug would not go on the market until after expiration of the patents). A settlement agreement between plaintiff and another generic drug manufacturer who filed the first Paragraph IV certifications concerning the patents-in-suit created a concrete and imminent harm to defendant because it called for the first-to-file generic company to delay the commercial launch of its drug -- which in turn would delay the start of its 180-day period of market exclusivity -- for 20 months after one of the patents covering the drug expired. "[T]he injury [defendant] identifies is its inability to obtain FDA approval (and sell its product) between the . . . expiration of [one of plaintiff’s patents] and 180 days after the date [the first-to-file generic company] begins marketing its product sometime after [the 20-month delay called for in the settlement agreement]. The Federal Circuit has recognized, in the context of the Hatch-Waxman Act, that the creation of 'an independent barrier to the drug market' by a brand drug company 'that deprives [the generic company] of an economic opportunity to compete' satisfies the injury-in-fact and causation requirements of Article III standing. . . . Thus, [defendant] has alleged a potentially cognizable injury." Such injury was also sufficiently imminent because the 20-month delay was required by the settlement agreement. "[T]he alleged delay in marketing [the first-to-file generic company’s drug] is not a mere risk but a certainty. At the time that [defendant] filed its counterclaims, there was no doubt that, following the . . . expiration of the . . . patent, [defendant] would be precluded from obtaining FDA approval and going to market until at least [the end of the 20-month delay]." Following a bench trial the court found that plaintiffs' patent was not invalid as obvious based in part on secondary considerations of nonobviousness. "The evidence demonstrates that there was much skepticism in the industry concerning the safety of rosuvastatin, and the Court finds it telling that no other pharmaceutical companies attempted to create a comparable product despite research in the area and economic incentives of entering an additional player in the statin market." The court also determined that plaintiffs' patent was not unenforeceable for inequitable conduct. 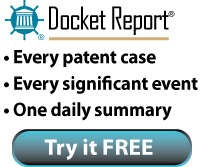 "[T]he evidence produced by Plaintiffs collectively suggests a time of confusion, personnel change, and overwork in the [plaintiff's] Patent Department such that it would not be unreasonable to infer from this 40 day period that the [Eurpoean Search Report] had merely been caught in a stack of papers." Successful defendants' motion for attorneys' fees under Section 285 was denied, notwithstanding defendant's letter following claim construction requesting that plaintiff dismiss its infringement claims. "[Defendant] points to a letter that it sent to [plaintiff] that asked [plaintiff] to dismiss its infringement claims in light of the court's claim construction. Had [plaintiff] complied with [defendant's] demands, [defendant] argues, none of the additional work to prepare for summary judgment motions and trial would have been necessary. Ironically, [defendant's] argument itself borders on frivolous. [Defendant] points to no authority that would create a duty in a patentee to comply with an accused infringer's self-serving letter [demanding a dismissal following claim construction] denigrating its opponent's case, even though the accused infringer turns out to be correct on the merits. Such a duty would be especially inappropriate where, as here, the claim construction that purportedly rendered the patentee's case futile was actually a compromise between the two sides' proposed constructions."